What Supply Chain Managers Can Do About Safety Recalls? This happens all too often. Once every few months, in some part of the world, a crisis of similar nature emerges. The point is that the lack of supply chain security hurts the company, the industry and the economy significantly. Some band-aid solutions are rolled out – mostly to restore public confidence and get the demand up again. However, a comprehensive supply chain security regime is never put in place. 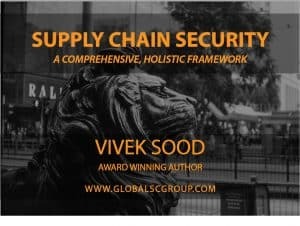 Having done large scale supply chain transformation projects for companies as sensitive as explosives, chemicals, fertilizers, food stuff, soft commodities, bakeries, meat, dairy, livestocks, and many others, we have seen both – the vulnerabilities and some really cutting edge supply chain security in practice. Unfortunately, supply chain security, in conceptualisation and training, has not kept paced. There is no university course that covers this topic sufficiently. Conferences skirt this topic. Books cover it sketchily. Regulatory framework is patchy and officious. And after complying with the regulatory burden most people relax in the belief that they have done enough. In fact they have no basis to go beyond regulatory requirements, lest they are accused of being paranoid or overzealous about security. Yet, dozens of incidents have demonstrated that regulatory framework is never enough. Each company has to develop its own supply chain security framework, based on its own particular circumstances. Even compliance with insurance requirements is not enough. Reputation damage to your business is a non-insurable loss in most cases. 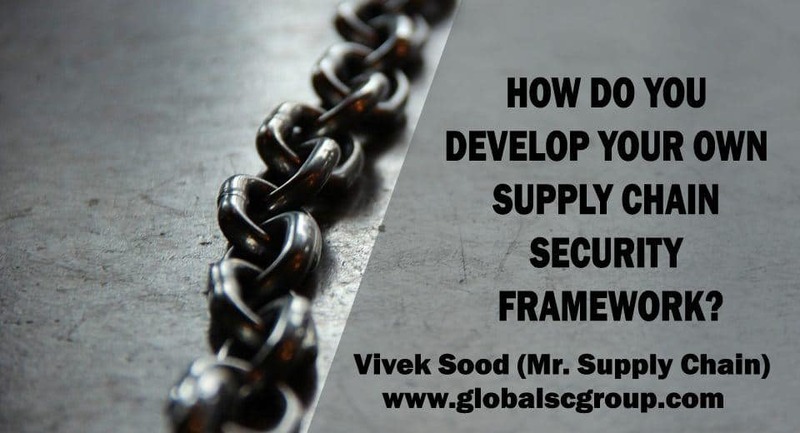 How do you develop your own supply chain security framework? Complying with regulatory and insurance requirements is a good start. You also need a more robust, holistic and comprehensive supply chain security framework that provides the guidelines for your own company’s supply chain security model. Our report titled SUPPLY CHAIN SECURITY – A COMPREHENSIVE, HOLISTIC FRAMEWORK provides the information to get you started. Better still – run a one day workshop based on the content of the report. It will be the best 20K your company ever spent. I write about "The Supply Chain CEOs", "The 5-STAR Business Networks", and, how to "Unchain Your Corporation". In my work, I help create extraordinary corporate results using several 'unique' supply chain methodologies. Contact me for interesting, high impact projects, or, to get access to my IP for creating transformations using these methodologies. Is your global strategy on track? Will digitization of retail supply chain eventually lead to Balkanization of online retail?